There exists a group of fans and critics who remember the duo of Ryder and Reeves from Bram Stoker’s Dracula and have loved them ever since. 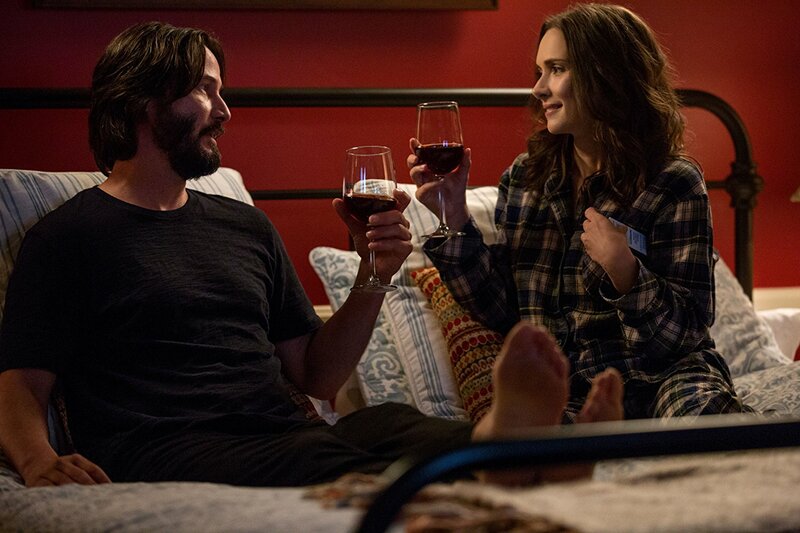 Reeves has had the better career, Ryder has had her moments, both are currently working hard (John Wick, Stranger Things), and here they are together again in a romantic comedy that relies almost expressly on their likeability factor and their chemistry. 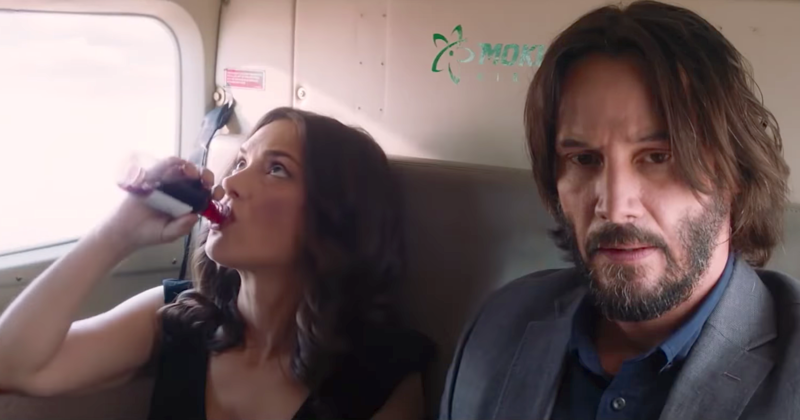 Problem is, there also exists a contingent (of which I am a part) that never thought these two were capable actors in any way, that never wanted to watch them together once more, and that has been proven right by this incredibly awful attempt at cinema. Lindsay and Frank have both been invited to a destination wedding in central California, and they both would rather die than go. But they each have their reasons for attending, reasons for showing their faces in a place they’d much rather avoid, and will go in spite of their disgust. Lindsay dated the groom and wants some closure after he broke her heart only weeks before their own engagement. She can’t stand him, but also loves him, and can’t stay away from the wedding that she know will destroy her. Frank is the groom’s brother, but that doesn’t mean they’re close. He hates his sibling, never wants to see him again, but feels obligated by the duty inherent to his birth to at least show up. 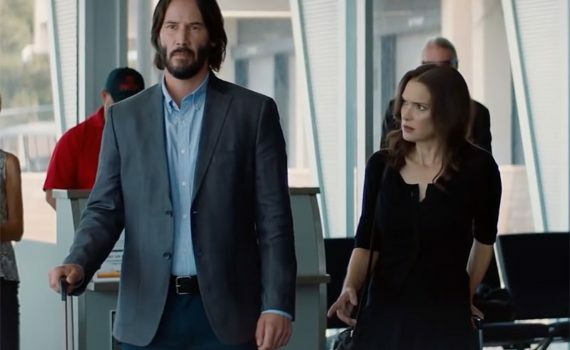 Despite their shared reluctance to travel to celebrate the wedding of a couple they’d rather never hear from again, both Lindsay and Frank make the flight, and, as chance would have it, they meet. They sit next to one another, they share a shuttle, their hotel rooms are connected; it seems like fate has brought them together, and what an unhappy duo they make. Lindsay can’t get over her ex, makes terrible decisions, and is sure she’ll never be content. Frank is a career pessimist, breaks life down into unbearable moments, and hates other humans. That these people, connected by other people, would be the specific people for each other is unbelievably hard to believe, but love is most definitely strange. I relish saying “I told you so” and will say it as loud as is needed; I just don’t have anyone specific to direct it to. Neither Ryder nor Reeves is talented enough to be anything other than a footnote, and it’s shocking that they’ve made careers off of that fact. Ryder has had a resurgence with Stranger Things, but she’s the absolute worst part of that show, which is obvious to anyone who is really watching. 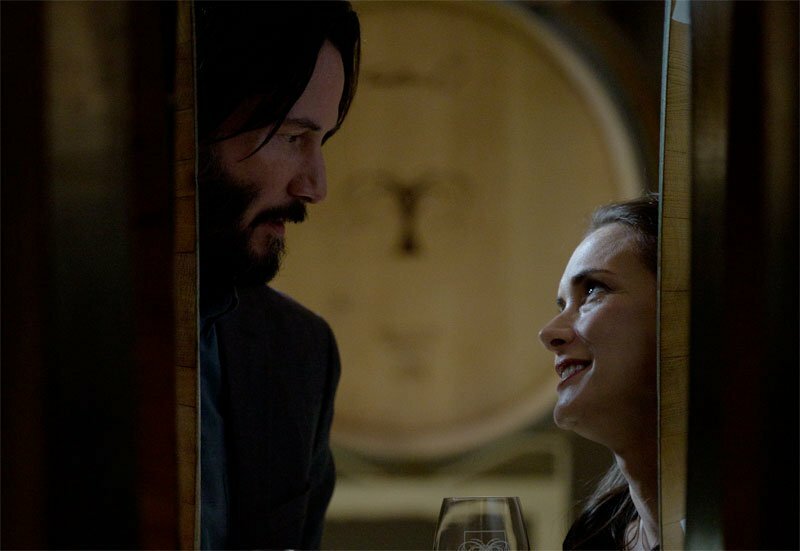 Reeves worked well in both John Wick movies, but that’s an exception to the rule; he most often is simply silly. Both come together here and neither has the talent to carry the story through to the end, failing to make even a short run time bearable in the least. Destination Wedding was attempting to be a Woody Allen movie, one in which the main characters simply converse and expound and sound witty, which is the problem with this casting, since neither lead actor has the ability to do any of that. Woody Allen 30 years ago could have been in this film, and his costar could have been any number of great actresses, but this casting simply didn’t work, and so neither did the movie. It was short, sweet, funny at times, never hard to watch, but it required audiences to come in loving the leads and forgiving them their inabilities; if that’s not you there’s no way to enjoy this film. Clever writing can’t save actual execution, and the result isn’t pretty. Video – With an aspect ratio of 2.40:1 (Anamorphic Widescreen), the video quality of the DVD is much better than the movie itself. The locale is beautiful, the picture is nice, and the cinematography is simple; this film is enjoyable to see, just not to watch. Audio – The disc is done in English Dolby Digital 5.1, with an option of Descriptive Video Service. Subtitles are available in English SDH. Even the music sounded like a Woody Allen film, with a constant background track that kept the mood casual. Extras – There are no special features available. Rent It. I could get behind this idea, this script, this comedy, but not these actors; that’s where the filmmakers messed up. Kathryn Hahn and Paul Giamatti just performed magic in Private Life, a very heavy drama with beautiful moments of humor; imagine what they could have done with this film and these parts. They could have been hilarious and perfect, they could have called it Sideways 2: On Location, and all my dreams could have come true. Instead, Destination Wedding is what it is, a movie that’s deceptively appealing but desperately awful. The video is nice, the audio is quaint, there aren’t any special features, so the technical side is a mixed bag. I just wish different choices had been made, because this movie had potential; the result was simply poor.